Home » Blog » biometrics » Could Automating Media Processing Aid the Forensic Investigation into the Boston Marathon Bombing? Could Automating Media Processing Aid the Forensic Investigation into the Boston Marathon Bombing? The horror of the events at the marathon in Boston 2 days ago is still very raw. People are united in their sympathy for the victims and their families, their revulsion of these despicable acts and their solidarity in not succumbing to terror. The FBI vows to “…go to the ends of the Earth to find the bomber” with President Obama openly stating the “…heinous and cowardly…” event to be “…and act of terror”. The investigation into the bombing is in its nascent phases, with the Boston Police Commissioner Ed Davis admitting that they are dealing with the “…most complex crime scene that we have dealt with in the history of our department.” Still, authorities are already honing in on crucial evidence and beginning to release details; BBC news reports that a source close to the investigation told AP news agency that the bombs consisted of explosives placed in 1.6-gallon pressure cookers, one with shards of metal and ball bearings, the other with nails, and placed in black bags that were left on the ground. Images of what appear to be a trigger mechanism have already been released. Forensic investigators have a long and daunting task ahead of them with countless hours of CCTV footage to pore over, and some people are already suggesting that the application of face recognition technology can play a crucial role in identifying potential suspects. 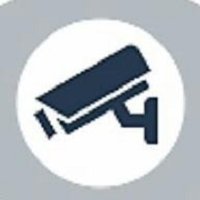 However CCTV footage, especially from older systems that have not been specifically configured for the task, is notoriously unreliable as a source for face recognition. Perhaps more useful at an event attended by so many, most of whom will have been carrying and using mobile phones and cameras, is the footage acquired by members of the public. Images and video captured by these high-quality devices will potentially be of much greater use than CCTV and authorities have appealed for people to turn in photographs and videos they have taken in the hope that they will contain useful intelligence. Much of this media will already have been uploaded to public sites such as Facebook and YouTube. A solution to automate the processing of this staggering amount of media to quickly and efficiently unlock actionable intelligence is required to save significant time and human capital. The ability to automate this would allow the more efficient application of resources as well as massively speed up a time-critical investigation. However, the need goes far beyond the simple application of face recognition technology. What is needed is a server-based system that can process vast amounts of media quickly to transform files from mobile phones, flash memory devices, online sources, confiscated computers and hardrives and video surveillance systems into searchable resources. This would enable forensic investigators to work more efficiently and effectively by automatically finding, extracting and matching faces from very large collections of media to discover, document and disseminate information in real-time. Automatically find, extract and index faces to enable the biometric and biographic searching of media. Create and manage watchlists of people of interest via a web-based interface. Find all instances of photos and videos where a person of interest has been seen. Quickly review and process media to identify, locate, and track persons of interest, their associates and their activities. Discover, document and view associations between people of interest, their activities and networks. Finally, a public-facing interface to such a system would enable members of the public to upload their media in a self-service manner to enable quick and ready access by the authorities to this raw data for automatic processing.